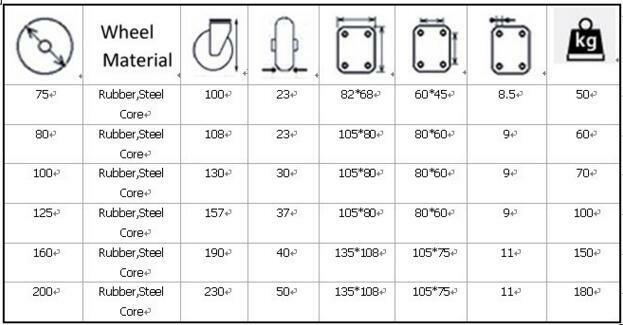 Industrial casters,Shopping cart casters,Furniture casters,Institutional caster,Medium duty casters,Heavy duty casters,Garbage disposal rubber caster,Scaffording casters etc. Freight Fee :Sent by express courier such as TNT,UPS,DHL,FEDEX, paid by customer. Our customers will get our reply with 24 hours, and get our quote within 24 hours during working days. 2. )All OEM/ODM copyrights to clients will be reserved to them respectively. 30 days after receipt of the order deposit. 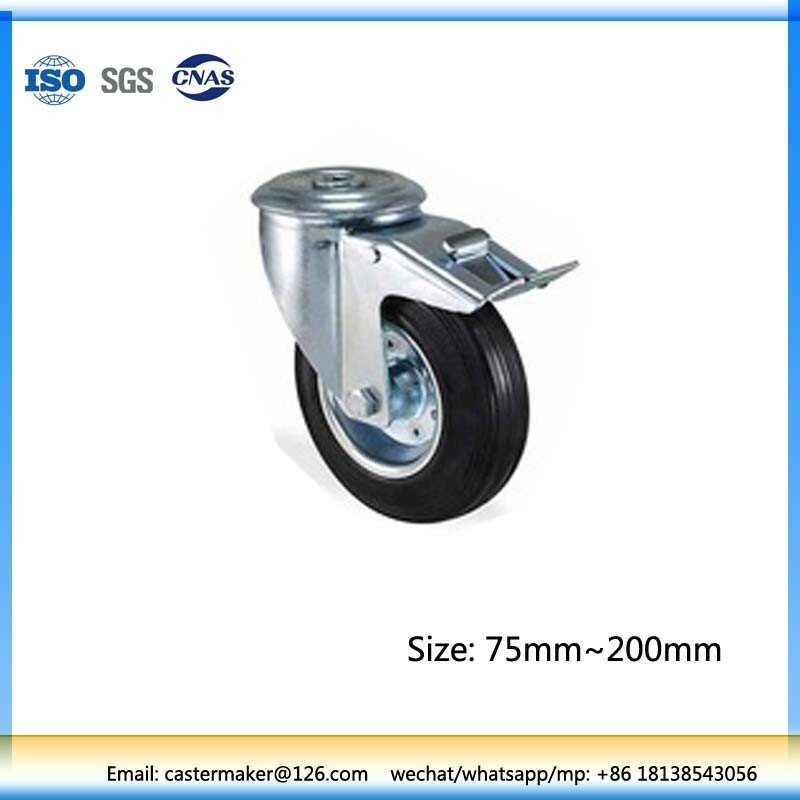 1)Factory since 2000,more than 15 years caster wheel manufacturing experience. 2)Competitive Price and strict QC &Â timely delivery. We have casters involving in light duty,medium duty and heavy duty casters more than 500 kinds from 1Â inch to 10 inch and load capacity range from 10kgs to 500kgs. 4)Strong sales in many countires all over the world including USA,Europe,North America,Middle East etc. Our products are widely applied to industrial instruments, medical and health care equipments and furniture equipments,gymnasiums,racks,stands,plan movers,carts,waste bin containers etc.